Guest and Gray is Rockwall and Rockwall County’s trusted car, 18-wheeler and motorcycle accident attorneys. If you have been injured injured in an accident in Rockwall County, and it is not your fault, you need to call Guest and Gray, P.C. and learn about your rights. How Can You Assert Your Rights in a Rockwall County Personal Injury Case? When you are injured in a car, truck or motorcycle accident, it is important to get information on a few things: (1) who was there and saw what happened; (2) what law enforcement agency responded to the accident; and (3) the at-fault driver’s insurance information. Guest and Gray has represented countless victims after suffering horrific injuries in motorcycle accident cases. If you have been injured in a motorcycle accident in the Rockwall and Kaufman County areas as a result of someone else’s negligence, you need to call the experienced motorcycle attorneys at Guest and Gray Law Firm. We have helped injured victims from Rockwall, Fate, Royse City, Forney, Terrell, Kaufman and everywhere in between in the Rockwall and Kaufman County areas. Our knowledgeable staff will help you through the whole process, including making initial insurance claims, preparing the file by obtaining all relevant medical records and billing, as well as any lost wage information. We will help coordinate your rehab treatments and work with providers to ensure payment of providers claims once settlement dollars are received. Our goal is to make the process as seamless and hassle-free as possible. Motorcycle accidents can take months, even years to recover from, and we work hard to ensure that any and all recovery is received as a result of your pain and suffering and mental anguish. We will prepare all necessary demands and court documents and we are prepared to take your case all the way to trial, if necessary. Guest and Gray is Kaufman County’s premier personal injury law firm. Our team of experienced personal injury lawyers and knowledgeable staff work hard on a daily basis to fight for the rights of Kaufman county’s injured accident victims. As Kaufman county continues to grow at a record pace, Guest and Gray has been here since the beginning. We have recovered millions of dollars over the years for local Kaufman county residents after they have been injured in automobile, motorcycle, trucking accidents, dog bites, and many other types of injury cases. We work closely with providers, health insurance companies and the at-fault insurance carriers to maximize our client’s recovery in each case. 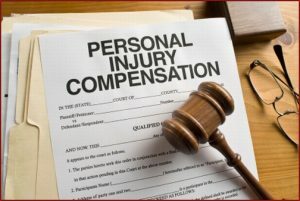 Our attorneys take each Kaufman County personal injury case on contingency. That means that we take on the risk and you pay nothing unless we win your case. Our personal injury lawyers are ready to take your case all the way to trial, if necessary.